While I was at it I remembered that I did not have any ability to connect my Amiga 1200 with the new Phase5 Blizzard 1260 with SCSI-II to a normal CRT/TFT display. For me, the only solution is to use Jens S. amazing piece of hardware called “Indivision AGA MK2cr”. This neat little hardware makes it possible to connect a modern display to the otherwise very hard-to-find-fitting-displays frequency that Amiga use. I ordered it from the local store GGS-Data that is located in the same town as I live. Perfect service was provided as usual and I had the adapter the very next day (Thanks Gunne). The only real problem with this adapter is that it does now work perfectly with the vertical frequency of ~50Hz. Also, a modern TFT usually have a range in the vertical frequency that is from 56Hz to around 75-85Hz. I also had a really good chat with Lars on Safir, who also has a MK2 that he has successfully tuned in to a nearly perfect close to 50Hz. While I was at it I thought of buying a new monitor and I found a unit that had appealing specification. Also, it was in the 5:4 format and had the needed input ports that I needed. The Indivision AGA MK2cr does only have a DVI-connector and by rule I never go from DVI to VGA. The older version of Indivision AGA only uses VGA but also only have three different modes to be configured while the MK2 model has support for most of the screen modes on an Amiga. 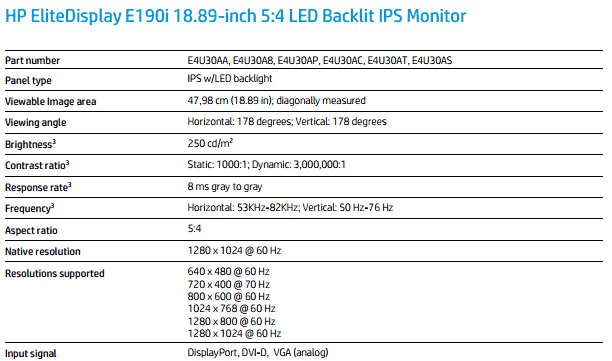 Below you can find a part of the specification on the monitor I bought. I have installed two Indivision AGA earlier that was of the previous version. What I’ve seen and heard, many has had problems with that adapter. Most of the cases was the socket would not be still on top on LISA (A1200 chipset). All of my installations still work and I have never experienced such errors. 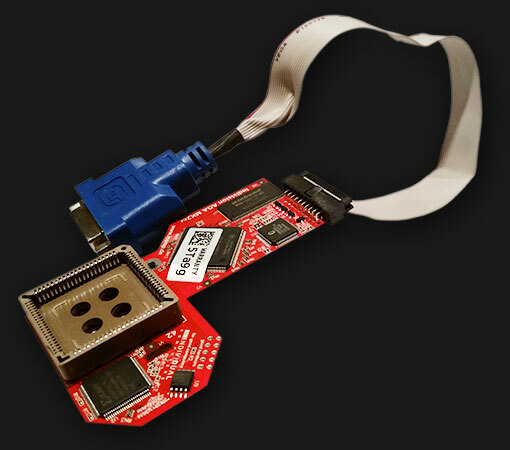 For those who does now know, the LISA chipset is located in between the IDE and the keyboard connector. The MK2 was ever easier to install. With a gentle but steady push it snapped into place with a small “click”. As default the Amiga 1200 are not prepared and has any spare placement for the DVI-connector. The installation guide suggests that the user should use the small expansion port that is located at the back of the Amiga 1200. So be it! I found that Amigakit sells a replacement lid that is prepared for the DVI. This was tempting but I had a spare expansion port lid that I could use. A rough drawing was made and attached on the lid with double grip tejp. After some drilling, cutting and work with model nail files I got it as I wanted. The result can be found in the picture below. Now it is time to try out the MK2 and compare it to its previous version. Great project info. I’m running a GVP ‘030/50 w/32 MB RAM and onboard SCSI which is already using the rear knockout panel. I figure I’ll have to use my Dremel tool to cut an opening in the A1200’s case where the top and bottom meet. 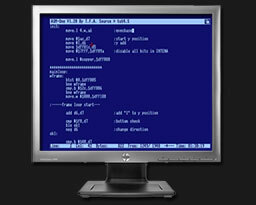 I have two Dell 2001fp monitors that support Composite, VGA, DVI, and S-Video. A suggestion would be to remove the RF-module and do some small adjustments there so it will fit. I haven’t looked at it myself but could work (atleast VGA does). Sadly I sold my Indivision AGA a while ago. What I remember was that the scanlines was OK on a 19″ and 17″ since that was what I used to test/run it. I don’t think you can compare ad AGA with a ECS Indivision tho.